As we are rapidly progressing towards the digital generation, the best part is, its ability to be analyzed instantly. For example: if you have e-mailed a newsletter to your existing database, knowing behavioral patterns and preferences of your target audiences is also possible. However, accurate and timely analytics of digital marketing activities is important for increasing the overall effect of your digital marketing. A newsletter is a very popular and effective form of email marketing effort. It is no new phenomena or discovery that has taken place recently. It is a great medium of promotion for centuries now. The only difference between then and now is the medium. Emailer they came handy and now they come in the form of an email. 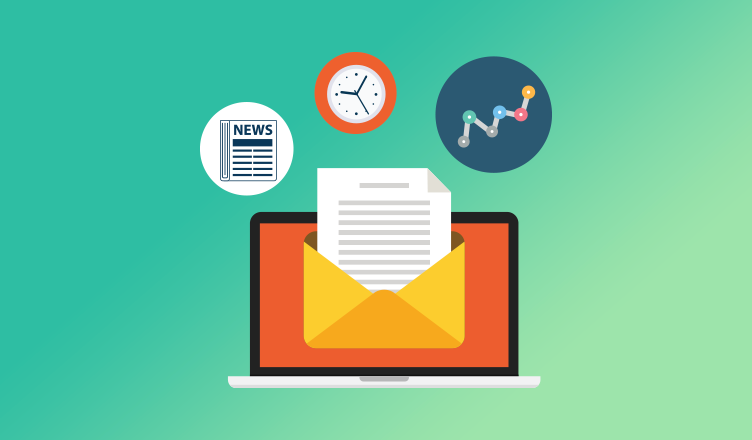 In this blog, we will discuss and put forth the various factors present in your newsletter content that needs to be and can be analyzed regularly and perfectly. Shooting a highly relevant and smooth newsletter as a B2B communication for your clients is as important as water today! First of all, what exactly it is? If simply put theoretically, a newsletter quickly captures and summarizes information and your latest business happenings to your customers. Typically, it can be sent out in the form of an email weekly, bi-weekly or on monthly basis. As email is the medium here, it needs to be opened to be viewed. You can have a specific handle for sending these emailers. For eg: PayUmoney Tips. Open rate is the exact number of people who have actually opened the sent email and viewed it. The open rate completely depends on how big or small your customer base is. Just an additional shot of information: Your ‘Subject line’ matters a lot! It is the trailer for the movie sitting in that email. If you want your audience to open your email newsletter then make sure that you keep your subject line topic relevant, short and at the same time increase curiosity. Total clicks refer to the people who have clicked on various newsletter topics after opening it. For instance, in the image below, if your customer clicks on ‘PayUmoney’, he is redirected to its facebook page or wherever he clicks he lands on that particular page. This mainly refers to the percentage of people who have clicked out of the number of people who have opened the newsletter. This is an extremely important metric as 7.92% is the final number on the basis of which you can estimate the success rate of your efforts. Soft Bounce: This takes place when the recipients’ mailbox is full, the server is dysfunctional or your message is too large or heavy for it to open in the recipients’ mailbox. Customizing the blog title, date, and purpose for easier tracking. You must have observed the ‘unsubscribe’ button or tab below (mainly) every newsletter. Why do company’s put this when they want to have onboard continuously? Unsubscribe is meant for people who wish to discontinue such emails from a particular company. *Quickly take a look at the industry-wise and company-wide email marketing benchmarks. In addition to the above metrics or analytics, you can also track the share rate. Share rate refers to the number of people who have shared your newsletter via email or social media. MailChimp supports all kinds of email creation starting from coding to templates to sending emails to multiple people on your list. It is a very useful tool as it provides analytics of those emails on the lines of open rates, bounce and so on. GA provides in-depth analytics of every mail to send on the basis of activity, source, referrals, etc. Time period or campaign duration is highly customizable in order to pull out relevant data. WordPress is a super site which plays host to blogs, emails and other marketing activity revolving around content. Nifty, Chimpmate Pro, OptinMonster, to name a few are the top WP plugins amongst many others. Eager to know more about analytics, social media, and online business? Check out the PayUmoney blog for fruitful insights.